Stand Up HoCo is Howard County's community-based campaign to prevent bullying. If you observe or know of an incident of bullying/cyberbullying, you can fill out the following online report. This can be used for instances in Howard County public schools, recreation and parks, CA, HCYP, etc. Imbalance of power between peers; not friends. Repeated negative actions that happens often. Serious with threat of physical or emotional harm. Strong emotional reaction from victim and little or no emotional reaction from bully. Seeking power, control or material things. No remorse - bully blames victim; no guilt from bully. No effort to solve the problem. Peers have equal power or are friends with each other. Conflict happens occasionally or rarely. May not be serious; no threat of harm. Equal emotional reaction from both peers. Not seeking power or attention and not trying to gain something. General remorse - will want to take responsibility. Effort on both sides to solve the problem. Differentiates bullying from other forms of teasing or fighting. Use this criteria to determine whether a situation is bullying or normal peer conflict. Bullying is carried out with the intent to harm and inflict emotional or physical pain. Bullies instill fear and use power and control to intimidate their victims. This power imbalance includes size difference, age, social status, and intelligence. Bullying acts are repeated and happen over time, they are not one-time events. Neighborhood Issues - If problems persist in the neighborhood, you should consult with local law enforcement officials. Cyber Bullying - When handling cyber-bullying parents should: monitor your child's computer usage, save threatening messages, meet with the school, if immediate physical harm call 911. Warning Signs - Be aware of warning signs that could indicate bullying: feeling ill in the morning, not wanting to go to school, not wanting to ride the bus, refusal to talk about the day at school, unexplained marks or bruises, drop in school performance, social isolation/withdrawal; change in friendships, coming home from school with torn clothes or destroyed property, unexplained crying, especially before going to sleep/nightmares, lack of confidence, changes in behavior towards friends and siblings-becoming more violent and becoming a bully. Teach Assertiveness NOT Aggression - Do not encourage your child to be aggressive or to strike back. Chances are that it is not his or her nature to do so. Rather, teach your child to be assertive. A bully often is looking for an indication that his or her threats or intimidation are working. Tears or passive acceptance only reinforces the bully's behavior. A child who does not respond as the bully desires is not likely to be chosen as a victim. For example, children can be taught to respond to aggression with humor and assertions rather than acquiescence. Ask Don't Assume Everything is OK - Don't assume everything is fine unless you hear otherwise. Ask your child how things are going, how he or she gets treated in school, who his or her friends are, etc. Pay attention to your child's mood and behavior. Gender Differences - Boys tend to engage in direct bullying, primarily with physical or verbal attacks. Girls tend to engage in more indirect bullying, which can include gossiping, exclusion, and starting rumors. Bullying vs. Harassment - Both cause harm. Bullying involves repeated negative conduct and an imbalance of power. Harassment is when a student perceives or actually experiences discomfort with identity issues in regard to race, color, national origin, gender, disability, sexual orientation, religion, or other identifying characteristics, and whose ability to participate in or benefit from the school's educational programs or activities is adversely affected. Recognize - bullying situations. Identify the criteria of bullying. Refuse - the bullying using strategies such as STAR. 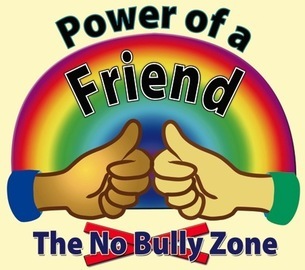 This can also include withholding support or participation in a hurtful event, choose not to encourage a bully with laughter or words, get help from adults, support a victim in private, distract the bully from their victim, offer support to the victim in the presence of the bully, or confront the bully. Report - the bullying to adults/school staff. • Tattling is when a student is trying to get someone in trouble. • Reporting is when a student tries to keep someone safe. STAR - Use the STAR strategy when confronted with a bully.